You won't regret taking the time to see this Gorgeous Newer Construction Twin Home in a Great Location of Garner Near Schools, Parks and Rec. Center. 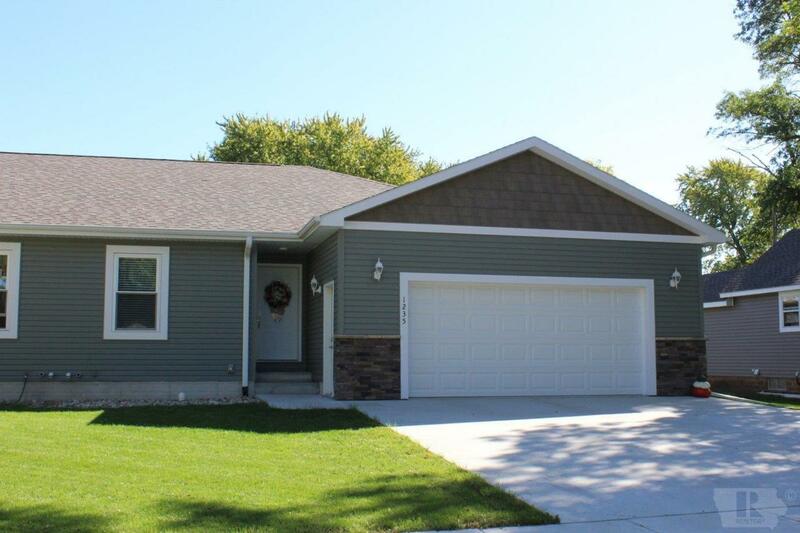 Built w/ Quality in mind with 2 x 6 Construction on the home and Insulated Garage. The home features 1,310 sq. feet w/ a Great Open Layout that includes 2 BR, 2 Baths (Including Master Bath), Large LR, Custom Kitchen w/ Pantry & Granite Countertops, Stainless Appliances Included w/ Sale, Dining Area & Laundry & Mudroom all on the main level. The LL is partially finished w/ Huge FR & 3rd BR both with Egress Windows for Natural Light. Amazing Bamboo Hardwood Flooring in the Hallway and through Kitchen, Dining & LR & Oversized Trim & Baseboard w/ Solid White Doors give a great look to this condo. The Exterior features a New Deck, 2-Att. Garage & Vinyl Siding w/ Stone Accent and Shake Decor for Great Curb Appeal. The list could go on for days, but you owe it to yourself to come see it in person. Owners are licensed Agents in the state of Iowa.